Does someone smell smoke? 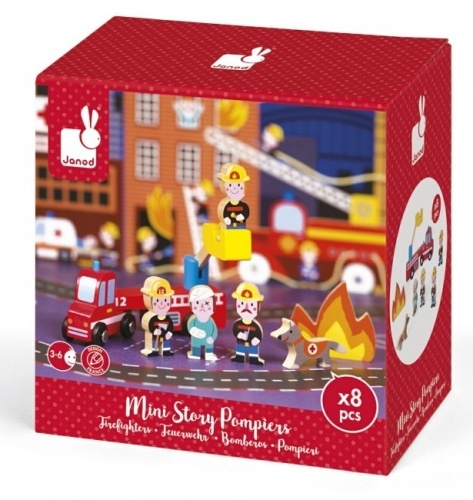 Don’t worry – your little one will be equipped to ‘put out fires’ and ‘save lives’ with this 15-piece wooden set by Janod. 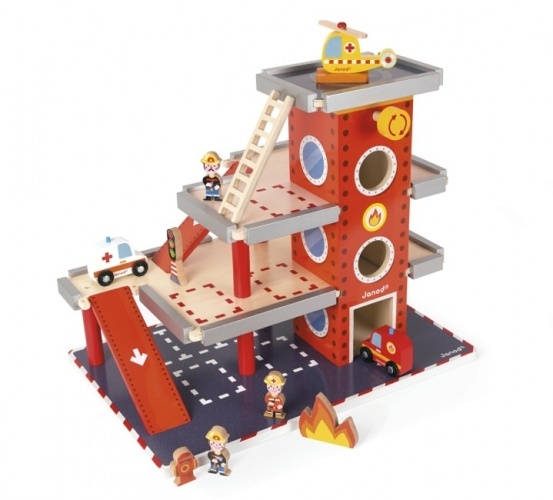 Enter the fast-paced world of fire-fighters with a set that comes with a fire station, a ladder, a truck, a trailer with a moveable basket, an ambulance, firefighters, a rescue dog, and so much more to help set the scene for your child’s next daring rescue.